We call ourselves Cozy Holiday Rentals because the word cozy evokes a feeling that we can all understand in our own way. Whether the feeling is of warmth, intimacy or a place that says “home,” we all want a little bit of cozy in each of our days. We just returned from our most recent trip to Casa Castigliana, where we spent 12 lovely fall days feeling the warmth and coziness of our vacation home. We were inspired to cook dinner in the kitchen fireplace one night, and to roast chestnuts in the livingroom fireplace another night. We invited the neighbors over for dinner to share our home and bond over a good dinner with some good wine. We only moved in in the spring, but already Casa Castigliana feels like a home and we’ve made memories that will continue to fill us with happiness as we plan our next adventure there. 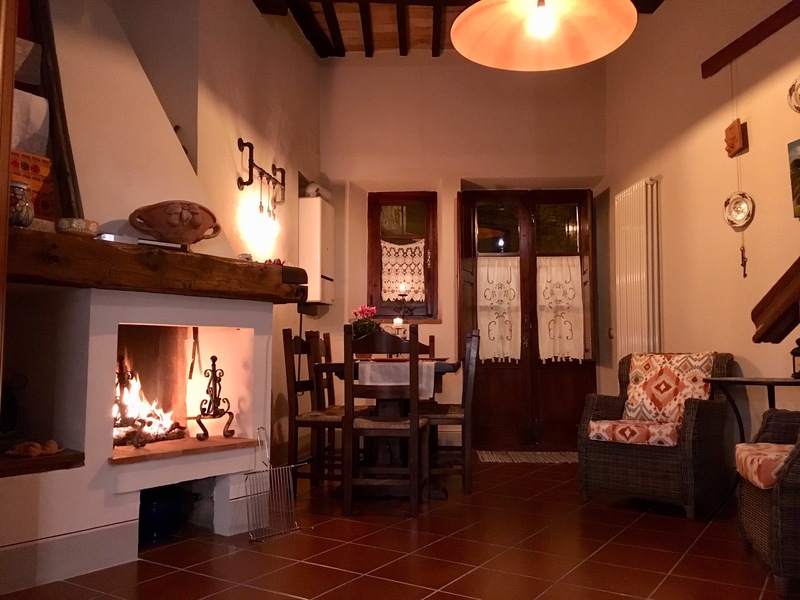 There are so many holiday rentals in Italy and so many reasons to choose any of them, but this one is ready to lure you in, wrap you in its warmth and send you off with cozy memories of your own.